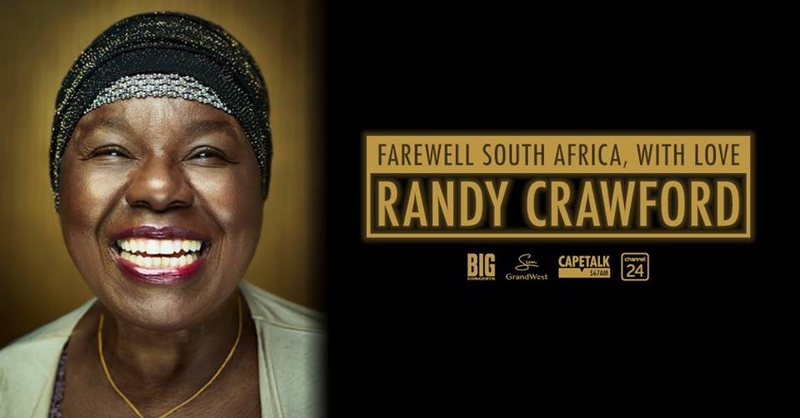 American jazz and R&B singer Randy Crawford will be performing in South Africa as part of her Farewell Tour coming to Cape Town on 23rd October 2018 at the Grand Arena, GrandWest and Pretoria on 26th October 2018 at the Sun Arena, Time Square. Presented by CapeTalk, 702 and Channel 24. Another Big Concerts Experience. Discovery Card holders get an exclusive 48 hour pre-sale from 9am on Tuesday 12th June. Go to www.discovery.co.za for more information. Randy first made her name in mid 1970s in New York where she sang with jazz men George Benson and Cannonball Adderley. She signed with Columbia Records and released her first single, “Knock On Wood” and “If You Say The Word” in 1972. She went on to lead R&B veterans the Crusaders on the transatlantic hit “Street Life” (1979) and was named the ‘Most Outstanding Performer’ at the Tokyo Music Festival. Her follow-up solo efforts included “One Day I’ll Fly Away” (1980) and “You Might Need Somebody” (1981), which became soul standards. The album, Secret Combination (1981) stayed on the UK Albums Chart for sixty weeks. She has sung with Bootsy Collins, Johnny Bristol, Quincy Jones, Al Jarreau, Rick Springfield, Steve Hackett and Joe Sample among others.